The global prevalence of obesity has almost doubled since 1980, while some inroads have been made in dropping global cholesterol and high blood pressure rates. Those are the findings of three papers published in the Lancet, looking at global heart disease risk factors between 1980 and 2008. "Our results show that overweight and obesity, high blood pressure and high cholesterol are no longer Western problems or problems of wealthy nations. Their presence has shifted towards low and middle income countries, making them global problems," according to senior study author Professor Majid Ezzati, from the School of Public Health at Imperial College London. Global body mass index rates have almost doubled since 1980, when 4.8% of men and 7.9% of women were obese. In 2008, 9.8% of men and 13.8% of women in the world were obese, according to the study. The United States tops the dubious list of hefty high-income countries for largest increase in body mass index and highest rate of BMI. The study finds that in 2008 more than half a billion adults were obese worldwide, including an estimated 297 million obese women and 205 million obese men. Excess body weight is a known risk factor for heart disease, diabetes, and cancer, causing “nearly three million deaths every year worldwide” according to the World Health Organization. *Pacific Island nations top the chart for the highest BMI average in the world. It’s up to 70 percent higher than some countries in Southeast Asia and sub-Saharan Africa. *After the United States, New Zealand has the highest BMI rate among high-income countries. Japan and Singapore have the lowest BMI rates among high-income countries. *Women had virtually no rise in BMI in Belgium, Finland, France, and Switzerland during the study period. Italy was the only high-income European country where female BMI may have fallen from 1980 to 2008. Italy and Switzerland saw the smallest increases in male BMI during the study duration. *Turkish women and Czech men have the highest BMI in Europe. Global rates of high blood pressure decreased slightly between 1980 and 2008, but the study found variations across regions and countries. While the overall trends showed a drop in high blood pressure, the study notes that the number of people with uncontrolled hypertension increased from 605 million in 1980 to 978 million in 2008, due to population growth and aging. High-income countries had large reductions in hypertension, while low-income and middle-income countries had growing rates of hypertension. High blood pressure is the top risk factor for heart disease deaths, causing more than 7 million globally each year, according to the study. The authors suggest that salt intake, fruit and vegetable consumption, obesity and overweight levels, and use of antihypertensive medications determine many of the patterns seen for hypertension levels. *Highest hypertension levels are found in Baltic, East African, and West African countries. *Among high income countries, the lowest rates for men and women were found in South Korea, Cambodia, Australia, Canada and the United States. The highest blood pressure rates were found in Portugal, Finland and Norway. *Men had higher blood pressure than women in most world regions. 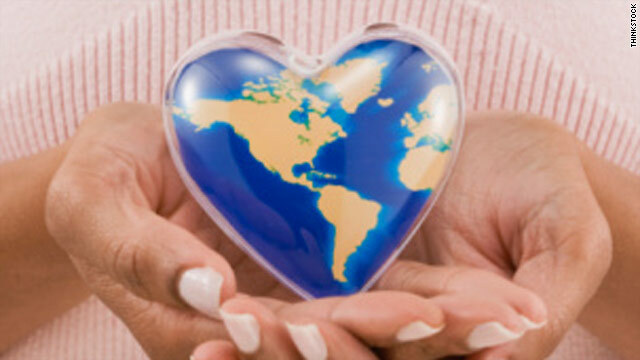 While the average global cholesterol levels held steady between 1980 and 2008, a closer examination shows that cholesterol decreased in Australasia, North America and Europe, while levels increased in east and southeast Asia and Pacific regions. Japan, China and Singapore all showed low cholesterol levels in 1980 that rose by 2008. The researchers attribute those rises in cholesterol to dietary changes that include more animal products and fats. *Greece has the lowest cholesterol for men and women among Western high-income countries. The United States, Canada and Sweden also had low cholesterol. The papers were written by Ezzati, Dr. Goodarz Danaei of the Harvard School of Public Health, and colleagues, using data from published and unpublished health exam surveys and epidemiological studies. They are part of the Global Burden of Diseases, Injuries and Risk Factors Study, which is funded by the Bill & Melinda Gates Foundation and the World Health Organization. « Previous entryDoes ADHD come from foods? As bad as it is here in our great country no one is trying to break out. Try reading "Why We Get Fat" by Gary Taubes. He makes a lot of sense, and shows that most of the statements here are not scientifically proven. Cut the sugar and the processed carbs. Cut most carbs to lose the weight you already have. When you go into a fast food joint and need and assistant to carry your order you might be over indulging. And, of course, it mirrors the rise of globalism and the Americanization of food supplies worldwide. Tons upon tons of processed foods with little nutrative value, but huge amounts of sugar and fat to make up for all that lack of real flavor. It mirrors the "Americanization" of food supplies worldwide? Please, present your evidence – a line graph would be great. And answer this question, who is more to blame a) the country that sells (at will) processed foods or b) the country that buys (at will) processed foods? I just grabbed a salad to go with my lunch. The woman in front of me at the salad bar piled a huge amount of salad w/boiled eggs, ham, pasta salad into her plastic tub, then filled two 3 oz cups w/ Ranch dressing and set them on the side. I imagine her shaking her head and saying "I don't understand why I'm still fat. All I eat is salad"
No kidding. I'm sorry, but I've seen how fat people eat... and they eat a LOT. They fill up their plates and then have second servings. I'm thin, and I NEVER fill my plate completely. I almost never eat off of full-size dinner plates. I rarely get seconds. I rarely prepare enough food for seconds to even be available. So, overweight folks... if you want to be thin, watch how the thin people in your life eat, and then copy them. You may assume that because they're thin they can "eat whatever they want," but trust me, it's not true. With the exception of a few teenage boys with lightspeed metabolisms, most thin people stay thin by making conscious choices every day to NOT overeat. Lots of people are too delusional about portion sizes and/or they can't read the nutrition facts. Another issue I see is how people prepare food. Sure, fish is great. However, deep fried fish with a gallon of tartar sauce and a side of greasy fries makes that fish meal into glorified junk food. Our work has changed...compare activity levels? A lot of it starts at the young age and depends what conditions you were raised in. However, your parents can only control you up to a certain age and then you are on your own to make choices. My parents never made me do anything and everything that I have done is by choice. I am 25 right now and possibly in the best shape of my life. I was on few sports teams in high school and ate whatever I wanted. When I moved out to college i did not play sports but worked out and ran few times a week. I also always watched what I ate at the cafeteria. I drank about 1-2 times/ week as well. I was in school for few years and my last 3 years i lived by myself. I went food shopping twice a week and made my EVERY meal. I did not know how to cook or what it meant to eat healthy but I learned with time. after college i worked 50 hour weeks and managed to still workout and run few times/ week. I still cook my every meal instead of going out for lunch or dinner. I now wake up at 5AM to workout and go running and i still work 50 hours/ week. I drink about once a week as well. I look and my friends and other peopel and it is most of the time from pure lazines that you start gaining weight. I do everything in moderation. What i have observed in the past few years is that people do stuff in extremes. For example i see people get overly excited about going to the gym. They do nothing but go to the gym, drink protein shakes, read workout magazines, order 10000 suppluments etc. Its all garbage! You should enjoy working out. In cocnlusion, I drink, smoke (M), eat pizza, lay around on my couch, work 50 hours/week, workout, run, sleep, nap, cook, eat out etc. and Iv managed to maintain a six-pack for the past 10 years. Try Gudernoobs made by WooHoo Foods. Each snack is only 30 calories! And there are 4 varieties to choose from. They have a "Keeping it Real Factor" of 10! What the heck does that mean lol?! Perhaps I'm missing something but is there anything even remotely complicated about being active and not overeating??? It's not that. The real problem is the enormous amount of misinformation being peddled as the Holy Grail of weight loss. People sometimes refuse to accept a solution because they believe that they have tried it before (usually they didn't have their heart in it) or the solution requires more effort than they are willing to put into achieving the goal. People want a quick fix in this day and age. No, there is nothing complicated about being active. I do cardiovascular exercises from how to improve cardiovascular fitness , and I feel great. It has helped me to trim down and keep it down. 30 years...interesting. What was put into widespread publication about that same time? The old food pyramid! Turn it upside down and you will see obesity decrease. Does anyone else draw the corollation between this "study" and the invention of the internet and these sit and play by the hour video games? Put down the controllers and get outside and DO something ! No, I do not see that correlation. Are you saying prior to the internet and the proliferation of video games there were no sit and play games? If you are saying there were not as many, please provide your evidence. Remember, when you presume something, it makes a "pre" out of "u" and "me". I agree. Go for a run or quit complaining.. and no, it's not hard. Just do it. I am an American and I am in great shape. While informing us of global trends, why didn't they tell us we all have our individual life programs to follow, and therefore these data could mean nothing or something to us. The latest data shows that at some point in their lives, all people die. Usually at the ending point. For most people, cutting down on fruits and veggies will take off about a pound a year. There are no "flavor enhancers" allowed in real food. It is not rocket science, if one eats too many calories regardless of them being fat/carbs/protein you will gain weight. There are many other factors, Americans 'tend' to think the HUGE portions they eat are normal, from super-size to all you can eat buffetts. People mistake thirst, for hunger..what that means is you should drink 8-10 glasses of WATER a day, NOT soda, NOT other drinks, WATER....and if you don't your body needs it, so it sends a message to the brain, you mistake it for being hungry and eat some more. Most Americans also don't get enough excercise PERIOD. From wanting the front row parking spot because they are too lazy to walk to the air conditioned/heated mall to watching TV like it is exercise. Try taking the stairs, try taking the furthest spot in the parking lot. TRY going to the gym and not making it a social event. Even eating, beyond the portions that are too big, most use too much salt or eath over-processed foods. Most eat too late then go to bed. It is endless what is wrong with what people do, and no one wakes up obese, they just see other people that are fat and think it is normal. Perhaps a VERY small % of peopl eare obese/fat because of some glandular problem, everyone else is LAZY, had no clue what they are eating and simply would rather watch tv, sit on a computer and then blame something or someone else for them being fat when the answer is staring themselves in a mirror. "*Among high income countries, the lowest rates for men and women were found in South Korea, Cambodia, Australia, Canada and the United States. The highest blood pressure rates were found in Portugal, Finland and Norway." Please note that Cambodia is not a high income country. It's not a mystery, over the past generation our jobs have become less physical, we move information not boxes and plows. Our kids are usually stuck in day care, where it's easier to control them when their not running around, and since Mom and Dad work full time, they aren't out playing in the afternoon after school. The time crunch on families today is significantly more than it was when I grew up in the 60's, so we have limited time to be active as a family. On top of that, how many fast food restaurants do you remember during the 60's, the 70's, even the 80's. As I recall as a kid, the chip aisle in the supermarket had a few shelves of product, today it is an entire aisle of it's own. Maybe obesity is part of the "Master Plan" of big businesses. 1. Produce toxic materials and GMO's to use in almost everything. 2. Everyone eats them. 3. People get overweight and sick. 4. Go to doctor and get pills. You see who is profiting from this? Businesses like Monsanto, the pharmaceuticals, and of course everyone's favorite: Insurance companies. I sometimes wonder if our government wants us dead because it seems that way to me. P90X BABY!! And good point Steve..that's exactly what I have always said. Odalice yolanda feliz- you're right, but it needs to start with you, help your family, help your friends, help your community. Don't expect the government or McDonalds to solve this problem, McDonalds is about making money, if their customers want a healthier menu they will tell McDonalds through their pocketbook, you don't have to put them out of business. numbnut don't forget about the profiting of pain killer pharmaceutical. What a master plan... wipe out all the naturally occurring poppy plants, synthetically produce it through a lab with a patent, jail those who choose to not use the "pharmaceutical drug", and the profit is nearly boundless!! I Hate our ideologies. Who do we think we are to tell other countries what they cannot grow! What if other countries were telling us what we can't grow or make?? TOTAL HYPOCRITICAL GOVT. When did we tell another gov't what not to grow? We are only trying to stop the flow of it into our borders. I mean, what could we do to another country that breaks OUR law? So how about the real problem of not exercising? It's BOOORING!!! There are many other fun things to do. It's progress. Make machines do mundane tasks so you don't have to. I get on a treadmill and it's not the exercise itself that kills me, it's the boredom of doing it. I see a girbyl in a wheel next to me and I feel at about the same intellectual level as that girbyl. Here is the BEST advice: eat slowly (I mean, really slow) and watch what you eat. If you eat fast and nervous, your small intestine doesn't function right, and then your brain won't get the nutrition it needs to keep you out of anxiety/depression and eating even more. In addition, no junk food. If you eat lots of fried food, well, too bad then. Stress and fast eating leads to lots of diseases, and beyond obesity, things just start to spiral out of control. Fix it while you can! So much judgement and self-righteousness here. The fact is, most of us are doing what we can to get by in life. There are clearly a LOT of people in the same boat on body weight issues (hence the thrust of the article!). If you feel you have no patience for us, start by examining your own thoughts and prejudices, and how much peace you have in your own body. "Doing what we can to get by in life"? What does that even mean? Can you get up at 5am and walk? or put in an exercise DVD? or go to a gym? If you say "no", then 99 out of 100 times the reason is because "it's too hard" or "I like my sleep" or "I can't live without ranch dressing and whoopie pies". That's not "doing what [you] can". The equation is simple and works on ANY body type or metabolism. If you burn more than you consume, the weight is bound by biology / physics / chemistry to come off – no exceptions. Jay, you just proved my point. The rise in obesity is no one's fault but your own. The amount of research and promotion that has been done to inform people about the dangers of fast food, etc. and having an unhealthy diet is astronomical and yet most people seem to ignore the facts. We have to stop wasting $ on trying to educate people on the dangers of not maintaining a healthy weight and lifestyle. Instead, we have to expect people to take some personal responsbility for their own lives instead of having the government babysit and feel bad for those that let their diets spiral out of control. Obesity is 99% of the time no fault of your own. I've watched plenty of these reality shows that try to get people to lose weight and it's always enlightening to see what these people were eating before their transformations. They wonder why their diets on their own are not working and are oblivious to the fact that the meals they are putting in their body are not normal. No matter how often we promote obesity research and how blatant we put nutritional facts on the packaging of our food, unless people take some personal responsbility for their own lifestyle, death from obesity related heat attacks and heart disease, etc., should be treated as a type of population control. Sure, that may sound harsh, but I'm sick of people acting as though they are not aware that eating fast food as a primary supplement of their diet is wrong. The government cannot do everything for peopel and so unless you act in your own best interest, we should not be wasting anymore taxpayer funds on trying to change people that don't want the help. The underlying cause of increasing obesity is that the world's food supply has been grossly altered in large part by: 1) factory farming, 2) genetically-engineered crops (thanks to Monsanto's global monopoly on crop seed), 3) cloned meat, 4) overuse use of pharmaceuticals and chemicals in food production, and 5) environmental toxins from 1 and 4. Most people in industrialized nations have little choice but to eat "faux" food manufactured from genetically-modified corn byproducts that doesn't supply any nutritional value because it is the only option they can afford. When continually assaulted with this kind of junk, how else is the human body to respond? Because this "food" is so cheap, undeveloped nations also have been economically pressured into consuming it, thereby contributing to the problem spreading globally. Silver lining? Global population numbers go down..
Everyone keeps talking about how it's the person's fault that they are fat because of their diet and exercise....this is not always the case. I am considered morbidly obese, but it has nothing to do with my diet and exercise. I'll admit I'm not the most active person, but I do walk at least 1 mile per day. I also only eat around 300-500 calories per day, which normally includes baked chicken breast and steamed vegetables or sometimes a turkey burger with grilled onions and mushrooms. My obesity has nothing to do with eating fast food or even processed foods, but admittedly I do not know the cause of it. I do realize that this is an unusual case, but stating that everyone that is obese sits on their rear all day and eats junk is a wrong assumption to make. I swear I've tried every diet in the world. I even did the hcg thing. I lost so much weight but the second I was done I gained it all back plus ten pounds. I recently started taking numedica supplements. I feel better than I ever have. I like feeling healthy. Good luck to you all. And good luck to me! This is sad to see. So many people struggling with weight gain. I've found that set diets don't work nearly as well as plain and simple good eating, like with italissima foods. I currently have an apple shaped body I am trying a new system to get myself motivated to get in the gym and to eat healthier. I recently saw a Doctor that has given me an eating chart and a way to get exercise in everyday. It has been a challenge but it's something I'm willing to do!